This is Hawaii advice the way a friend would give it to you: fiercely opinionated, funny, and brimming not only with tips about what to see and do, but also what's not worth your time.Whether you plan to learn to surf; visit World War II sites, top museums, palaces and other historic attractions; hike to waterfalls or the edges of volcanoes; or head to sun-soaked beaches where sea turtles nest, our expert has your back. A seasoned journalist, Jeanette Foster offers opinionated, no-punches-pulled advice on how to smartly explore this exhilarating country. 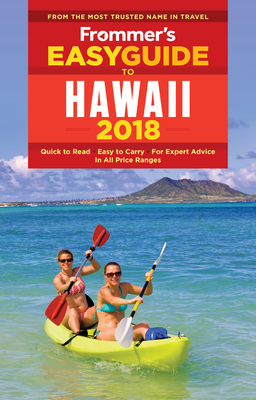 Jeanette Foster is the author of more than four dozen travel books for Frommer's, as well as editing Zagat's Survey to Hawaiian Restaurants since 1997. In 2010, she was awarded the Bronze Award by the Society of American Travel Writers for Frommer's Hawaii Day-by-Day. She resides on the Big Island in Hawaii.